Home / Celebrity / Mampintsha / Ntando Duma / is Mampintsha broke? Ntando Duma Claims Mampintsha Owes Her Money! is Mampintsha broke? 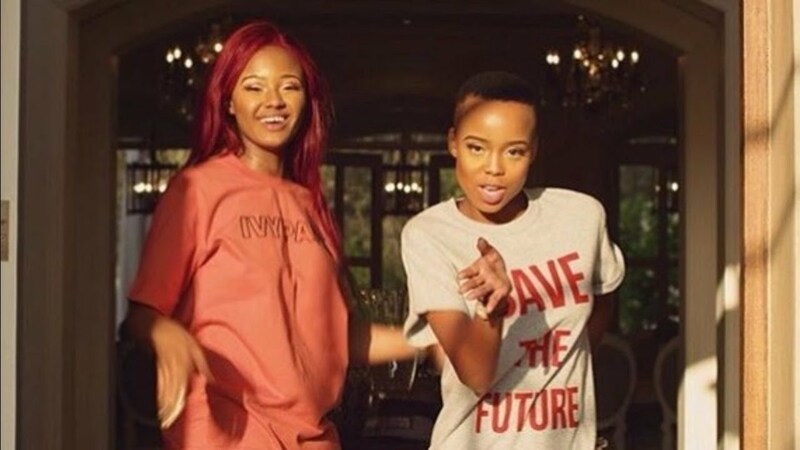 Ntando Duma Claims Mampintsha Owes Her Money! Ntando Duma Claims Mampintsha Owes Her Money! When it rains it pours and for Mampintsha, his woes are ongoing. The singer is being taken to court by Distruction Boys who claim he owes them money. Turns out they are not the only ones he owes. Ntando Duma also revealed on Twitter that Mampintsha also owes her money and she has been waiting for her money. “Babes!!!! Wheeeeeeeere??! I’m still waiting,” Ntando responded to a fan asking if she had gotten paid. Here’s to hoping this all ends well.